It’s a well-known fact that all men are fascinated by anything which will make a noise and lots of light, so how would you like to fire your very own firework display. You may not be aware that in fact for just £295.00 you can fire your own semi-professional display to the delight of all your friends and family. We offer advice and assistance to anyone who places an order and your goods will be delivered to your door with full instruction on how to lay out the fireworks, what to do if it rains, safety instructions and distance recommendations. We send specialist safety lighters and of course the fireworks which are 1.3g meaning that they are packed with effects and of course being flash, they are louder and crisper than your standard garden fireworks. Although it appears that it would be difficult, once you have the goodies laid out correctly, in accordance with our set yo plan and familiarise yourself with the firing order and timings, it is very straightforward. 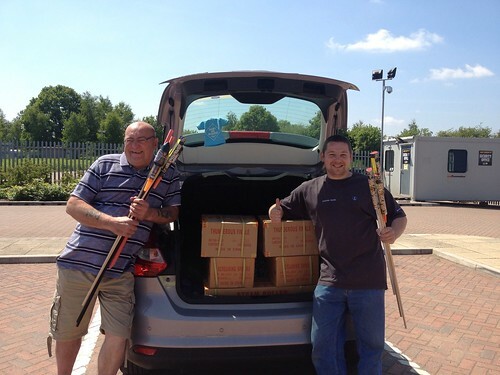 We have customers from every walk of life who have been using our exceptional fireworks for years and continue to expand to such a degree that in one case of a fireman in Scotland, he started with the basic Conspiracy pack and has added to every year since and now spends in excess of £3000.00 (he does get over £7000.00 of fireworks) and entertains his whole community safely and makes enough in the sale of sparklers to pay for itself! If you are considering having a display for your family, friends and neighbours or indeed are putting on a display for your football presentation night, wedding or a special birthday or anniversary, why not give us a call and we will offer you assistance every step of the way. DIY. Whats the story …. Here at Epic, we know a thing or two about fireworks having been in the fireworks business for nearly 30 years now so we certainly feel qualified to offer advice relating to what it will take to make your event go with a bang! We have, as you can well imagine, fired literally tons of pyro over the years. 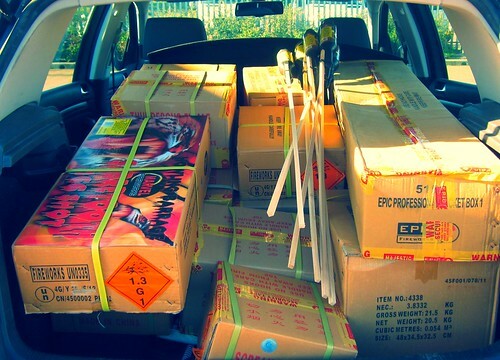 Some good, some not so good but at the end of the day, we have weeded out the weaker stuff and left ourselves with a plethora of goodies with which to thrill our customers resulting in a range of great fireworks to suit every pocket and style. If you have limited space and budget, why not try our wonderful Guido’s pack. Named after the man himself, Guy Fawkes (Guido is the Spanish equivalent of Guy), it is collection only due to the number of individual fireworks but it does represent brilliant value for money. All this for £99.95 including VAT. Alternatively, those with a little more space and a higher budget, you have a couple of choices. You could go with either the After Midnight pack £295.00 inc VAT which contains some of the best barrages on the market (as detailed in Mens Health 2011) the incomparable Thunderous Finale and the Screaming Spiders or the Conspiracy Pack. There are 10 of the best barrages in our range in the After Midnight, an all-round easy to light, fool-proof pack. If all the items are lit consecutively this is an absolutely beautiful display of around 5-7 minutes duration (depends if you want to fire the two Thunderous Finale and 1 Screaming Spider together as we would recommend). These are of course just a very small sample of what is on offer from Epic fireworks and the packs are really easy to use and if you take away the fact that they are considerably bigger in size than your run of the mill garden fireworks they are just the same. A little preparation before dark makes things a great deal easier and you can easily have ‘buddy’ firing where one side fires first and then the other so neither are likely to be returning to a burning firework. We provide the set up plan, safety instructions, goggles, rocket launching tubes, safety lighters (portfires – brilliant as they are windproof and stay lit for a few minutes each so plenty of time to go from barrage to barrage) and to cap it off, if you come to collect any of our £295.00 or above packs, you will receive 4 big beautiful Sky Storm rockets too. If you are considering putting on a show this year and would like our help and advice, please call us on 01226 749587 7-days a week or email me via the following [email protected] and either myself or one of my colleagues will get back to you as soon as possible. We can look at your venue online and check out what space you have, recommend layout and firing order and even recommend insurers (if applicable) who may be able to help you.